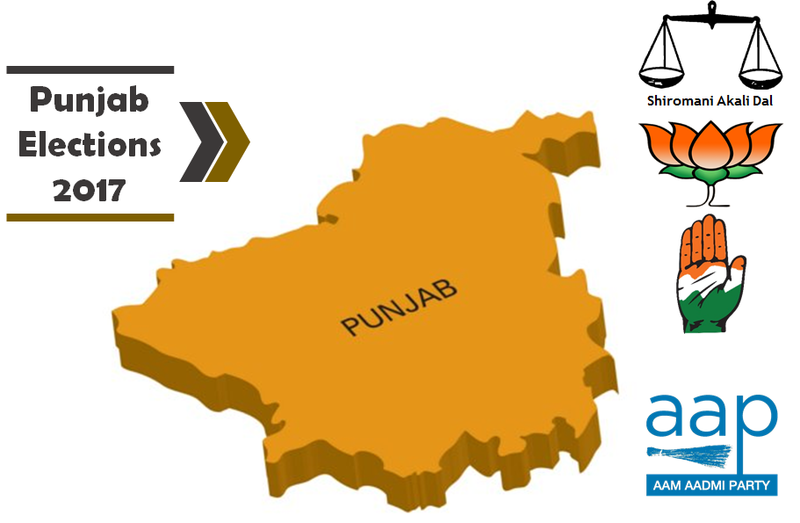 Legislative Assembly elections are expected to be held in Punjab in 2017, before the end of the current tenure of the Punjab Legislative Assembly. The current ruling coalition is Shiromani Akali Dal – Bharatiya Janata Party alliance led by Parkash Singh Badal. Punjab will go to elections between February and March next year, shortly after presentation of the Union Budget on February 1 2017. The ruling SAD-BJP government, led by Chief minister Parkash Singh Badal, will face voters five years after coming back to power in 2012. Evidently, there is going to be an intensive political activity in the state in the run-up to the elections when voters cast their vote. In the last Assembly elections held in 2012, the SAD-BJP alliance won majority but this time the Congress and Aam Aadmi Party are going to give a tough competition to the ruling alliance, and a new political party Awaaz-e-Punjab have been announced by cricketer-turned-politician Navjot Singh Sidhu. The major issues faces in Punjab are corruption, unemployment, drug addiction and receding water tables that may pose a serious threat to the state’s agriculture. Creating employment opportunities and tapping the human capital are the main agenda among the parties and the result in Punjab will have greater implications for national politics. There are around 1.99 crore eligible voters and according to state chief electoral officer “Youngsters not taking much interest in getting votes made. A special campaign in colleges and other places is being carried out to enroll new voters,”. With use of drugs, liquor and money common in assemble polls the EC have said to prepare a robust strategy to tackle the same. Previous articleWho will win Punjab Vidhan Sabha Elections 2017?